We cut foam to size and most of the time we can cut the foam whilst you wait. For sofa seats we have a ‘BLUE’ upholstery grade foam which is firm to sit on. For sofa seats and backs we have a ‘GREY’ upholstery grade foam which is softer than the ‘BLUE’ but still supportive. 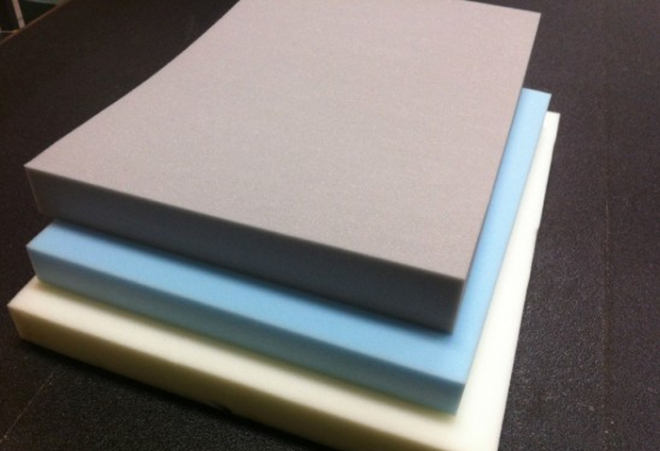 We can order in a ‘WHITE’ foam suitable for cushion backs, ‘MEMORY FOAM’ suitable for mattress toppers, and ‘CRUMB’ foam which is very firm and used mainly for commercial purposes such as bar stools. All our foam is delivered on a Thursday afternoon. Please call 01243 839850 for a quote.